GUELPH — A sliver of hope. 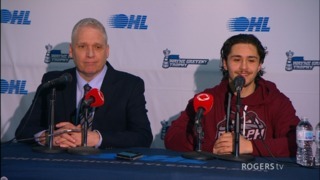 That’s all it takes for a team to turn things around in the Ontario Hockey League playoffs, especially on home ice. 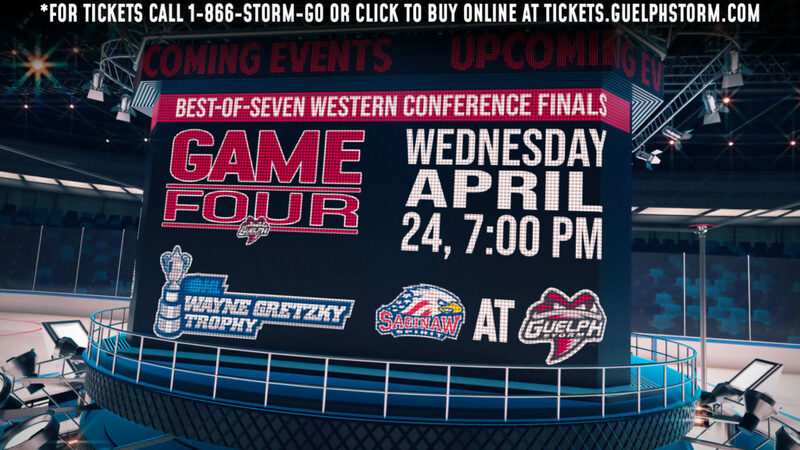 And the Kitchener Rangers let the Guelph Storm back into their western conference quarter-final series with an ill-timed — and unnecessary — penalty late in Game 3 Tuesday night at the Sleeman Centre. The Blueshirts were about four minutes away from taking a 3-0 lead in the best-of-seven series when it all fell apart. 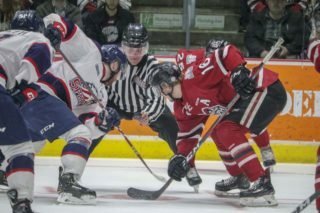 The visitors were up 5-4 and time was ticking away when Rangers winger Givani Smith was called for a blindside hit after taking a run at Guelph defenceman Ryan Merkley. 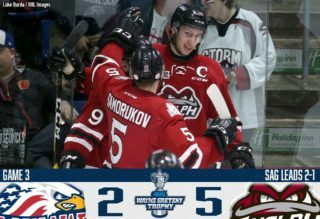 The play sparked the home side, who tied the game on the ensuing power play and added two more in the final 2:09 of the game for a 7-5 come from behind victory in Game 3. Kitchener had the edge in the run-and-gun affair. 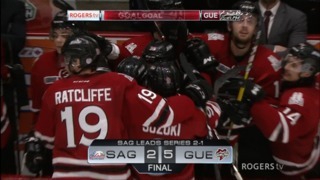 The teams traded goals through two and Kole Sherwood’s second of the game looked like it might hold up as the game winner in the third period but Guelph fed off the Smith hit and picked up its first playoff victory since April 4, 2015.